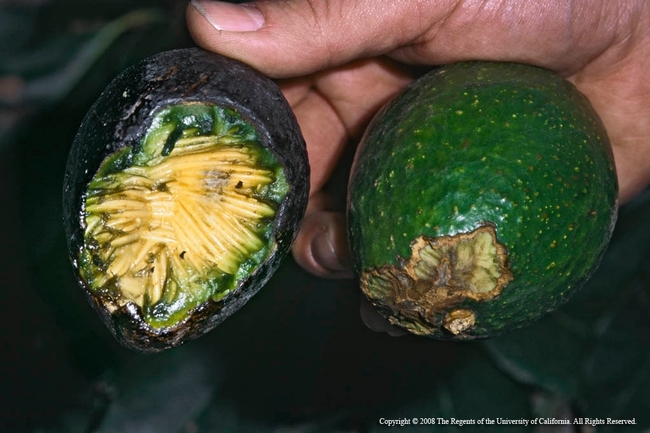 Roof rats are causing damage in nut and tree fruit orchards. Monitor for rodent activity and use bait stations before the growing season to prevent problems, UC ANR scientists recommend. 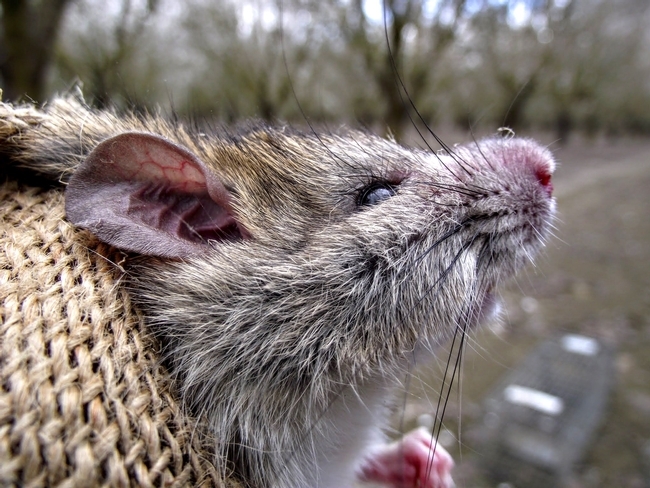 Roof rats are running rampant in California orchards this year, according to UC Agriculture and Natural Resources scientists. Rats like to eat fresh avocados. The wet winter of 2017 led to lots of weed seeds for rats to eat. “Last season, rats were also nibbling on pomegranates, avocados, and other fruit and nut crops, rendering them unmarketable,” Long said. Holes in the ground around the base of pistachio trees throughout a Yolo County orchard puzzled the grower. Burrowing roof rats sounds like an oxymoron. While roof rats generally don't burrow in urban environments, their country cousins have been known to burrow. Roof rats are nocturnal animals that climb in trees and burrow underground. Because the rats climb, Baldwin suggests attaching bait stations to tree branches. As for the bait stations, they should be designed so that there isn't any spillage for nontarget animals to eat, Long said. When roof rat outbreaks occur, rodenticides are often needed to prevent crop damage. However, timing is critical as diphacinone use is highly restrictive and not allowed during the growing season, which is beginning as the weather warms. Because roof rats climb, UC Cooperative Extension wildlife specialist Roger Baldwin recommends attaching bait stations to tree branches. Roof rat holes are typically 3 to 4 inches in diameter. 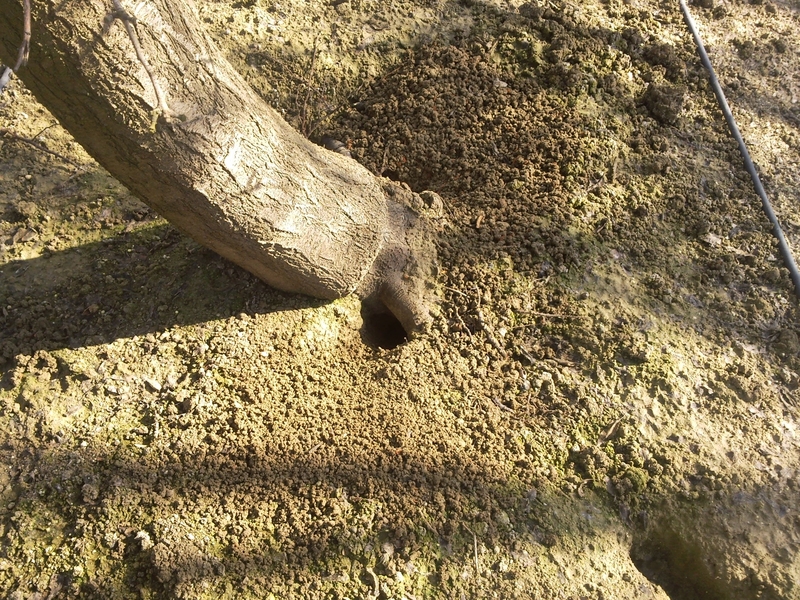 One way for growers to identify whether they have roof rats is by the size of the burrows. The nocturnal pests are active above ground in trees and below ground. “Roof rats can forage away from their nest, so you won't likely find signs of their activity, such as rat droppings outside their burrow, to help identify them,” Long said. Ground squirrels are active during the day, so they are more likely to be seen, dig holes about 4 inches in diameter and forage above ground near their burrows. Vole and mouse holes are 1- to 2-inches in diameter. Roof rat holes are typically 3 to 4 inches in diameter and might have nut shells in front of them, for example pistachio or almond shells. Rabbits will feed on seedling crops, but do not dig burrows. Ground squirrels are active during the day and their burrows are 4 inches or more in diameter. Roof rats are prolific breeders that reproduce year-round, according to Baldwin. Females typically have three to five litters per year with five to eight young, enabling their populations to rapidly increase. The omnivores feed on a wide variety of plant and animal materials, allowing them to adapt to any environment, including urban and agricultural lands. For more information on controlling roof rats, download Quinn and Baldwin's free UC ANR publication 8513, Managing Roof Rats and Deer Mice in Nut and Fruit Orchards at http://anrcatalog.ucanr.edu/Details.aspx?itemNo=8513. 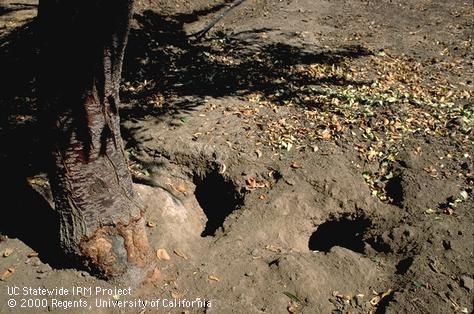 For more information about ground squirrels, download the free UC IPM Best Management Guidelines http://www.groundsquirrelbmp.com or UC IPM Pest Note http://ipm.ucanr.edu/PMG/PESTNOTES/pn7438.html. I hope you're not encouraging the use of anticoagulant rodenticides. There are far more humane and environmentally preferable alternatives available, and the University should be mindful of its obligation to the residents of California to behave in a humane and environmentally responsible manner. More information about controlling roof rats is in this free publication http://anrcatalog.ucanr.edu/pdf/8513.pdf. Raptors are a valuable part of our ecosystem, and may provide some pest control benefits as well. However, raptors will not likely be able to reduce rodent populations quickly enough to stay ahead of a population explosion of rodents. Secondly, it is not yet clear how effective raptors can be at managing rodent populations. Just last week, a group of barn owl and rodent experts from around the world came together in Davis for a workshop, and the general consensus among the group members is that we still do not know how effective raptors are at managing rodents. Fortunately, more research is currently underway on this issue, so hopefully we will have a better answer soon. UC ANR continues to recommend the use of pesticide as part of an integrated pest management plan. Rodents remain a threat to California agriculture as well as being public health pests, so effective management practices are needed. Many growers are experiencing rapid population growth of roof rats, potentially resulting in substantial losses if the populations are allowed to grow unchecked. Rodenticides are one of the few tools that allow for a rapid depopulation of rodents, and as such, are favored in such circumstances. 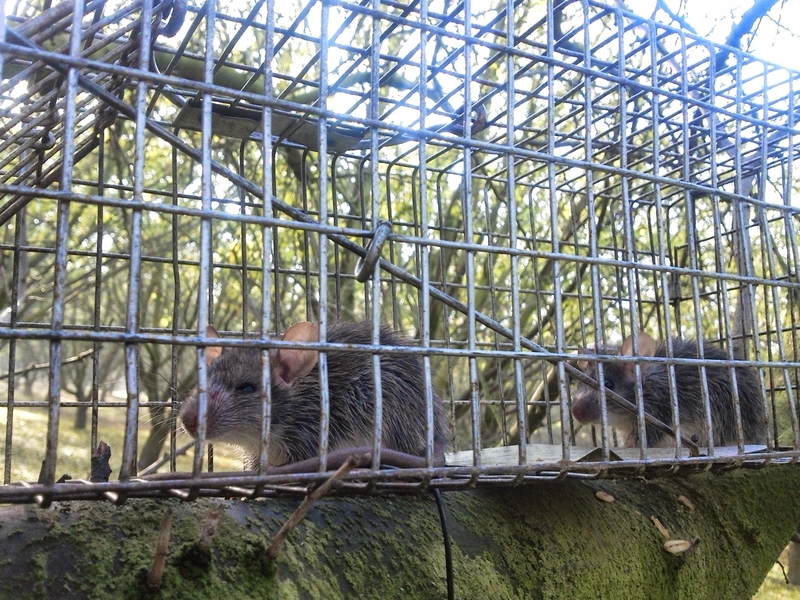 The bait station methodology mentioned in the article has proven to be a highly effective strategy for managing rodent outbreaks with minimal effects to non-target animals. 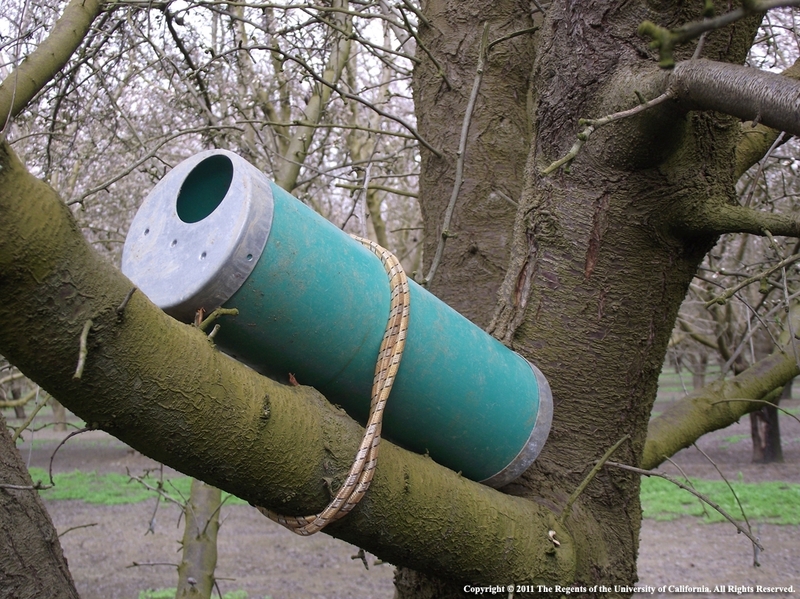 By placing bait stations in the tree, the applicator is able to eliminate access to those species that cannot climb. UC ANR is very aware of the recent research from UC Davis that collected information about the illegal use of rodenticide. However, data derived from this study is based on illegal applications of rodenticides. The legal application of rodenticide in bait stations has been shown to be highly effective for managing rodent outbreaks. Much more study is needed to determine if legal applications have a substantial impact on raptor populations; this is an area receiving much attention, not just globally, but within UC ANR as well. Advisors and Specialists at UC ANR are focusing research and extension efforts on the issue of rodenticide residues in wildlife. Recently one of our Advisors organized a highly successful symposium "Rodenticide Residues in Wildlife" which attracted many of the foremost scientists in this area. Many issues were discussed in a moderated group session after the symposium. Furthermore, our scientists are currently engaged in research addressing pathways for rodenticide exposure, assessing sublethal impacts to nontarget wildlife populations, and methods to reduce exposure from rodenticide application programs. Ultimately, a variety of tools are needed for effective rodent management. We may find that natural predation provides a useful tool for rodent management, but other tools including rodenticides are currently needed to most effectively manage rodent populations. Congrats!!! to all the winners. Manisham Prabhakar: Congrats!!! to all the winners.